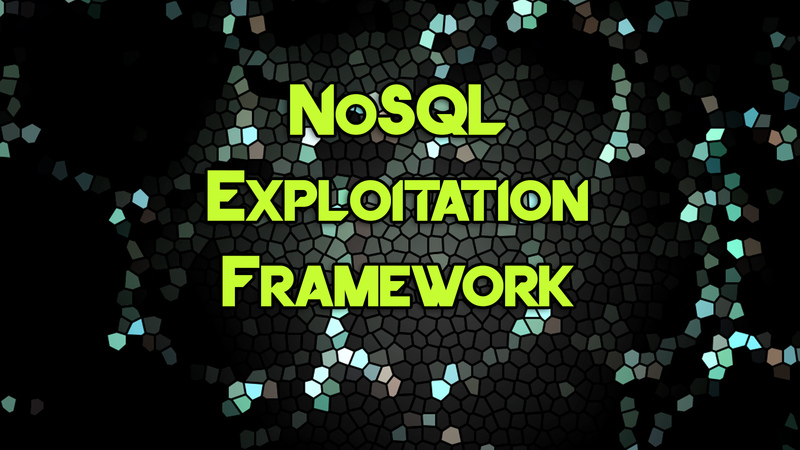 NoSQL Exploitation Framework is a Python framework for NoSQL scanning and exploitation. It can Detect NoSQL injections and other version vulnerabilities with zero feedback from the application. Payload list for JS Injection, Web application Enumeration. Enumeration Module added for the DB's, retrieves data in db's @ one shot. Removed the scapy module by default for mac. So this should run by default. If you need to sniff run the script and then continue.